On Saturday 15 September 2012 many of the members of Cardiff Circle were honoured to attend the ordination to the Deaconate of one of their members Bro Rigobert (Rigo) Logier. The ceremony was conducted in Cardiff Metropolitan Cathedral by His Grace, The Most Reverend George Stack Archbishop of Cardiff. Bro Rigo, who was enrolled as a member of Cardiff Circle earlier this year, was accompanied by his wife Jesse and his two daughters, Nicole & Natasha. In his address, Deacon Rigo thanked all of those that had helped and supported him during his faith journey particularly during the 3 years of his training and formation. 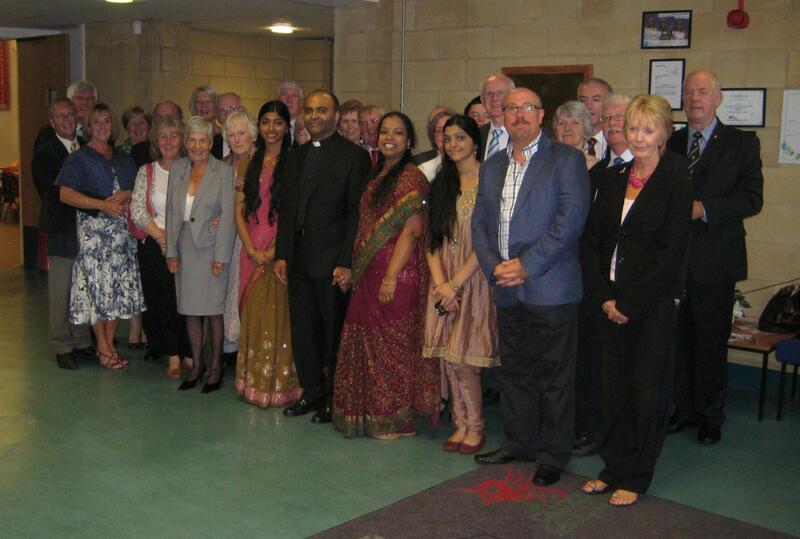 The Cardiff members and their wives, along with other guests, attended a reception after the ordination at St Illtyd’s RC High School. Deacon Rigo, his wife Jesse, daughters Nicole & Natasha and members of Cardiff Circle and their wives.